Similar 18/8 stainless steel dinner knife snap or lose their shine after frequent use, but you can be assured that Winco backs all their extra heavy Stanford pattern dinner knives with a guarantee that they are built to withstand the test of time. Reduce the amount of time and money you spend replacing flatware by investing in Winco's high quality extra heavy Stanford pattern dinner knifes and experience better quality. When you invest in a stainless steel dinner knife from Winco you're investing in flatware that will last your dining room for years to come. Butter breads and smooth on spreads with this 18/8 stainless steel Stanford pattern dinner knife from Winco! This dinner knife features a extra heavy design for easy and comfortable handling and the simplistic beauty of the Stanford pattern looks fabulous on any table top. The stainless steel construction is resistant to corrosion, warping and bending. 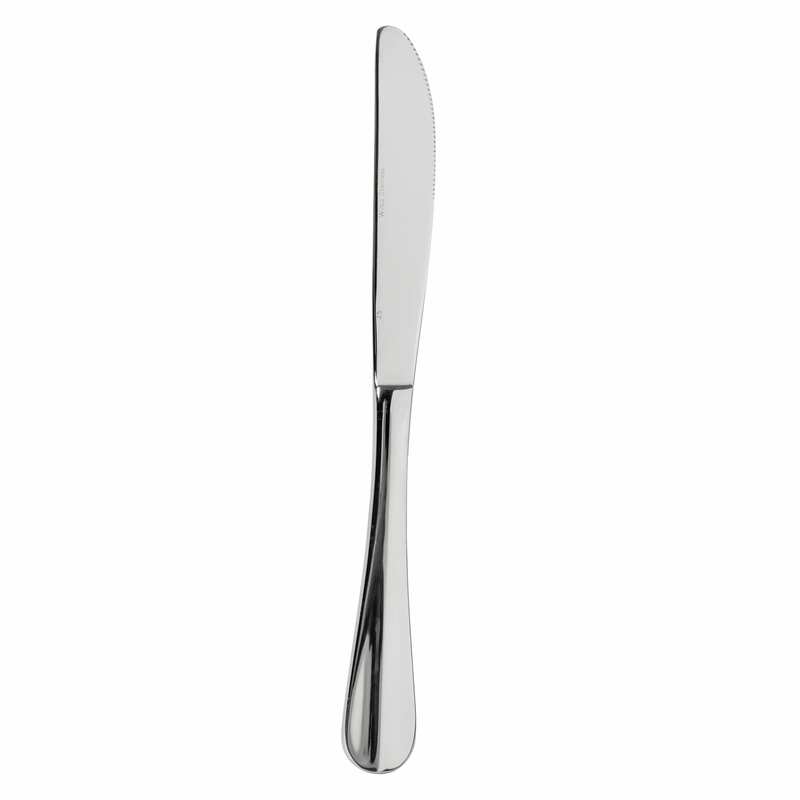 Remember, great dining starts with quality extra heavy stainless steel dinner knives from Winco! 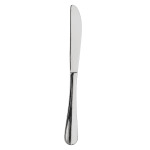 Make this dinner knife a part of your flatware line today! Dinner Knife, 18/8 stainless steel, extra heavy, Stanford.